Anna Jameson’s moral rendition of Shakespeare for young women, and Charles Lamb’s 1830 Tales from Shakspeare for children, were only two examples of the improving, instructive Shakespeare of the nineteenth century. So inspirational was Shakespeare that even the shape of his head could be used to inform, as in these physiognomical rolls, used in an American traveling lecture, c. 1855. 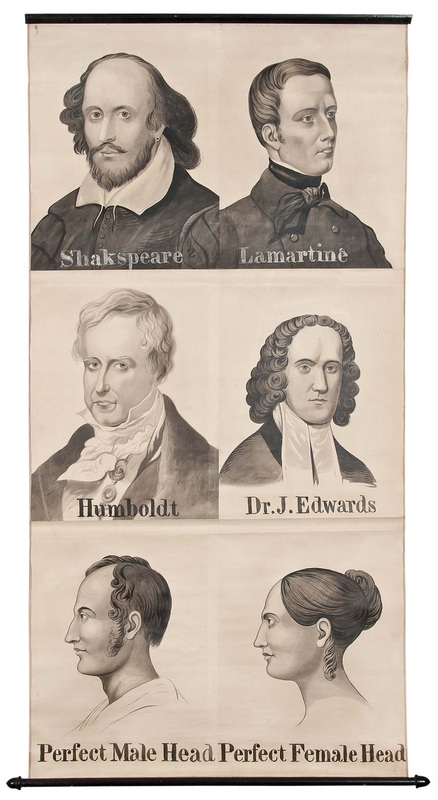 Here Shakespeare joins Jonathan Edwards and other illustrious figures as an example of a fine head.